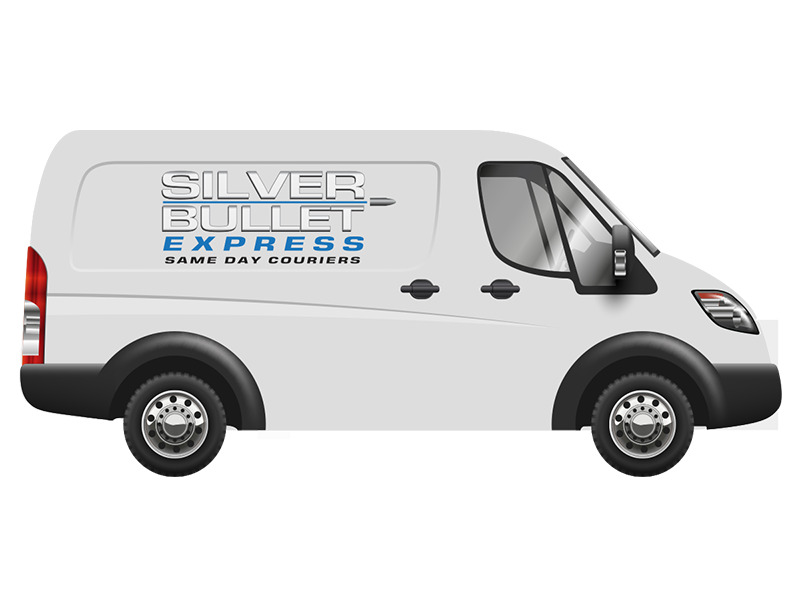 Silver Bullet Express will get your goods from A to B on the same day because it’s what we specialise in. It doesn’t matter if you’re sending one small envelope or several half-ton pallets, we have the drivers and fleet to provide you with a faultless same day delivery service. We specialise in both local and nationwide same day deliveries and are just as capable of delivering a small box six miles down the road as we are of transporting four pallets from Plymouth to Newcastle. Whatever you need – please get an instant quote and book your delivery by calling 0800 907 0016. Our instant quote generator has been designed to make your life easier. Simply enter the collection and delivery postcodes and you’ll be shown two prices within seconds. These are for a small and a large delivery vehicle. There’s no messing about when Silver Bullet is involved. We’ll aim to collect your items from the collection postcode within an hour of you confirming your delivery. Your goods will then be safely loaded and driven straight to the destination address – without any detours, additional collections or uncalled for stops along the way. We sincerely hope you won’t need it but we provide £10,000 insurance as standard, just in case an unfortunate accident occurs during transit. To book a collection or to get a quote over the phone, please call us now on 0800 907 0016. We look forward to working with you!